It has been a while since building my previous telescope, newton 8 "f5. Now I throw myself to the construction of what I hope will be my last telescope, assuming that my illness is cured to large mirrors. 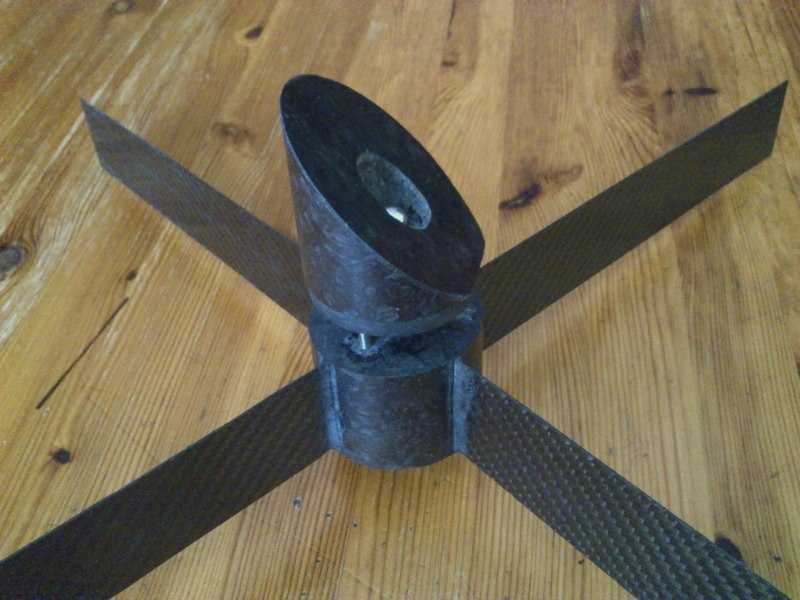 Like the previous project is a telescope made entirely of carbon fiber, epoxy resin and stainless steel screws. Solid fiber parts, using techniques of bulk molding compound, fiber mixed with resin to form a moldable mass under pressure. Edited by CanaryMax, 07 February 2015 - 03:40 PM. Famous last words I too will be watching this thread with interest. using techniques of bulk molding compound, fiber mixed with resin to form a moldable mass under pressure. Can you provide a link or a description to this process please. These are the data of the fiber and resin've used so far. Density 1.76 g / cm³, filament diameter 7 microns epoxy-preparation 1.3%, bulk density 400 g / dm, tensile strength 4000 MPa, tensile modulus 238 GPa, elongation at break 1.7%. 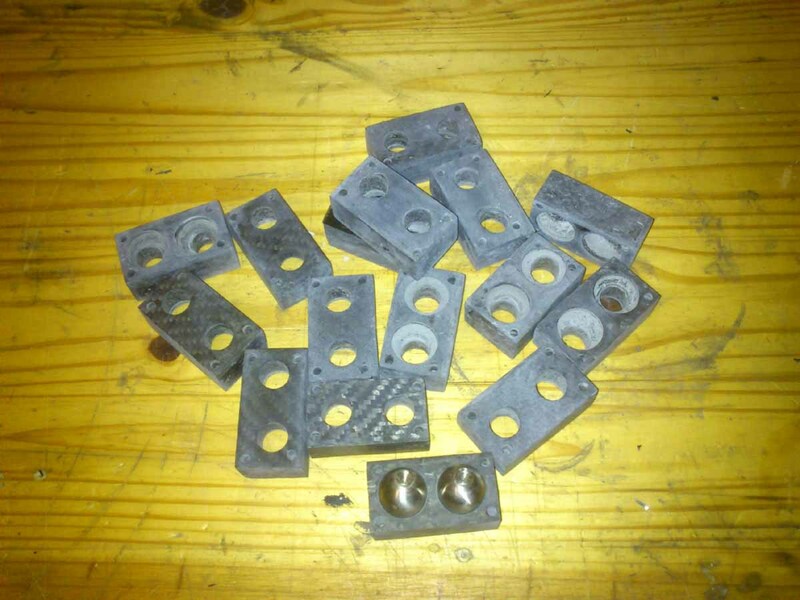 The truth is, I do not find examples of Bulk molding compound homemade, I have not looked too. 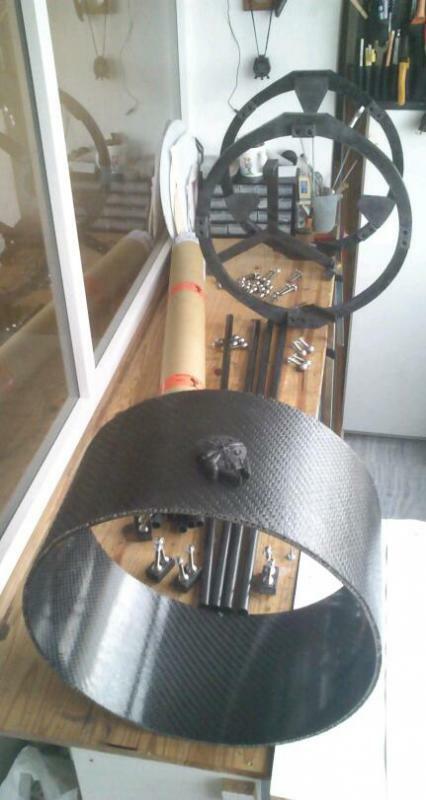 I'm actually planning the build of a 18" f4 truss newton (about 12Kg for the primary mirror). 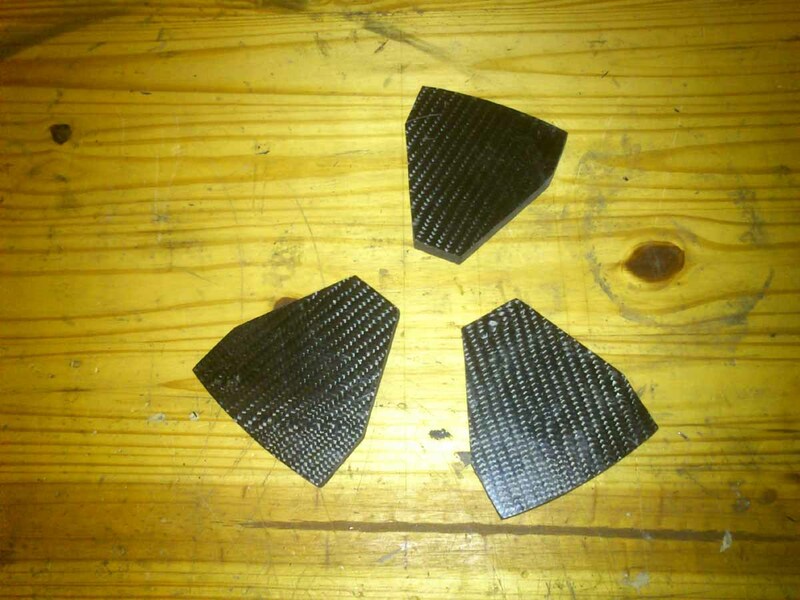 One the issues I see with using the mirror cell made of carbon fibre is that the fibre needs to be laid in such a way align the strength again the force (rather than using just the epoxy strength). So would you look at using a U section to prevent bending? Yes, I think that a section in the form of U would be rather more efficient to avoid flexing in the cell, it is a matter that I still have hands if modify that triangle which support the three triangles of the primary mirror support (9 points) and strengthen U-shaped as you say. It's one of the benefits of fiber, which can change many things half-built and as I have not cut the bars can decide many changes. Yes, I knew Ray design, but I'm stubborn and want to do it all circular clamping rings. 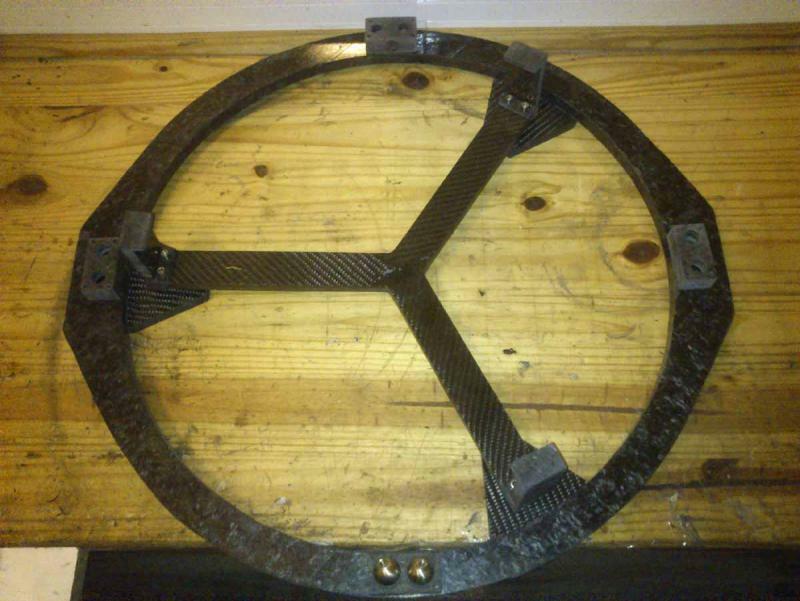 I will follow this with interest, having just completed a 10" imaging newt using carbon fibre struts with plywood rings. Planning on posting some info on your build? 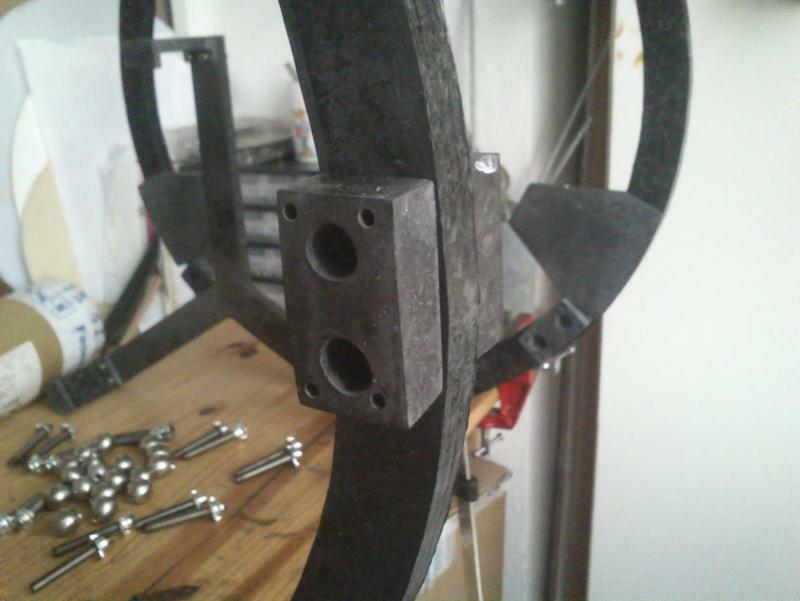 Last week I continued making parts of the telescope, this time it is the front tube that supports the spider and the focuser. 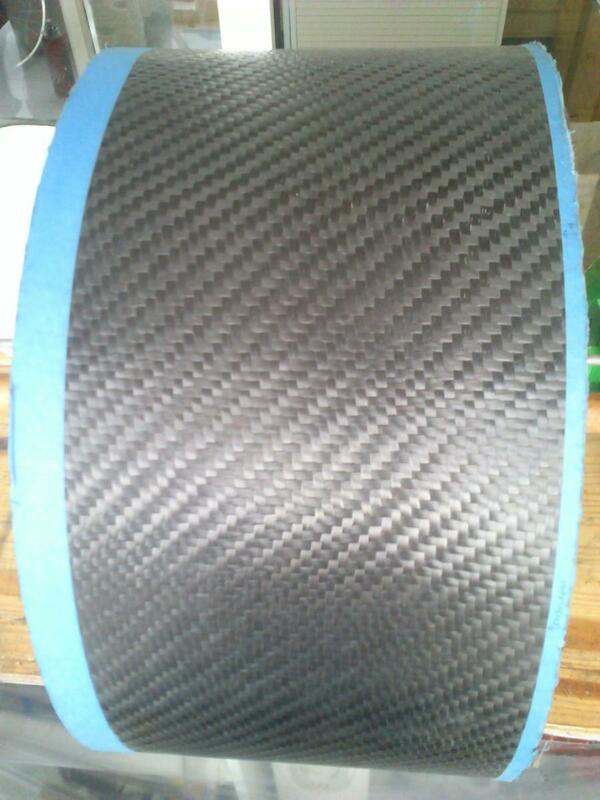 I used fiber 400gr / m2, two inner turns, aramid honeycomb 5mm for the core and two outer turns of 400gr / m2. I post the picture of the finished tube, there are more images of the process on my website. 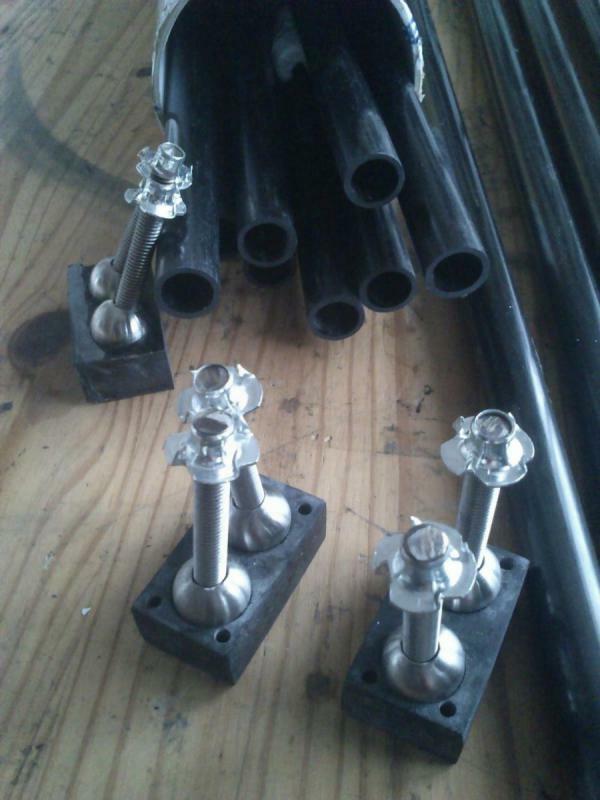 The lack of free time does not allow me much progress in the project, I could only make the second ring and prepare stainless steel balls for bars. Well, it has also given me time to become a mini Millennium Falcon with some leftover fiber. you can find it? I'm thinking of doing the rotatable top tube for easy visual observation, so it'll take a while to move the project when you have decided as I do. The pieces are placed only with double-sided tape to go forward seeing nothing better to do as it is becoming to encourage me to continue. A few months later ... I've hardly been able to continue with the project because of health problems in my neck and back which fortunately I'm better. I could finish the back truss tube and front tube. I have to redesign the cell as the primary mirror will be conical. 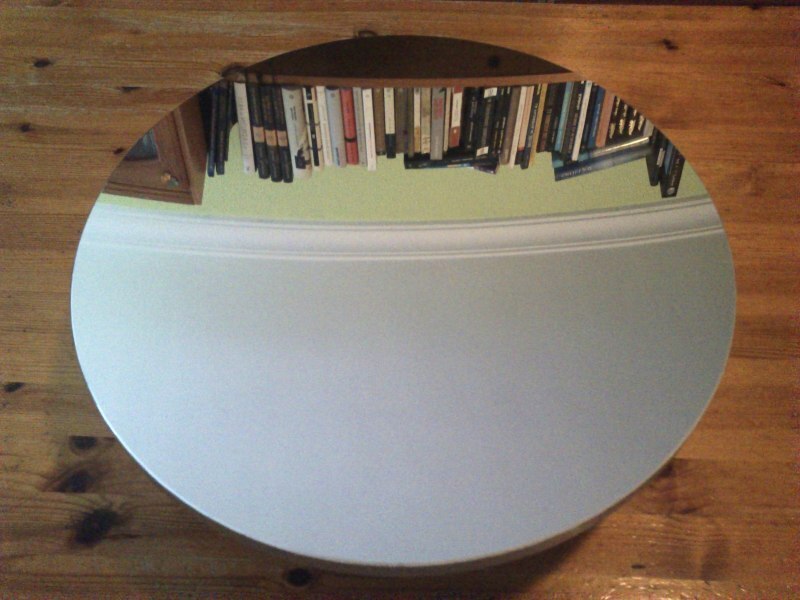 Can you tell where did you manage to find a 16" conical mirror? 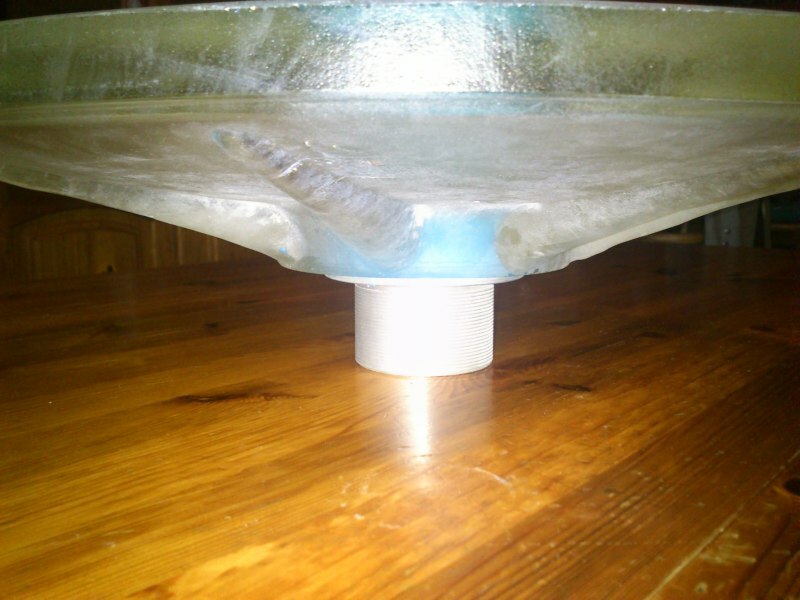 I have called conical, but I think is not the right word, I do not know the name of this type of mirrors, ¿lightweight?. RF Royce seems that manufactures conical but I can not afford, or other options such as cellular mirrors. that looks the same as the skywatcher's 18 ul primary. they started protoyping with fused primaries but wound up with cast. so tell me whats up with the tnuts on the end of the threaded stud on you steel balls. Edited by Pinbout, 19 September 2015 - 10:17 AM. Edited by JM La Galette, 20 September 2015 - 11:57 AM. Another little step, the spider and the secondary support. Need to give a good finish sanding and painting and place the connecting screws to the tube, I'm still doubting whether place two per leg or only one. 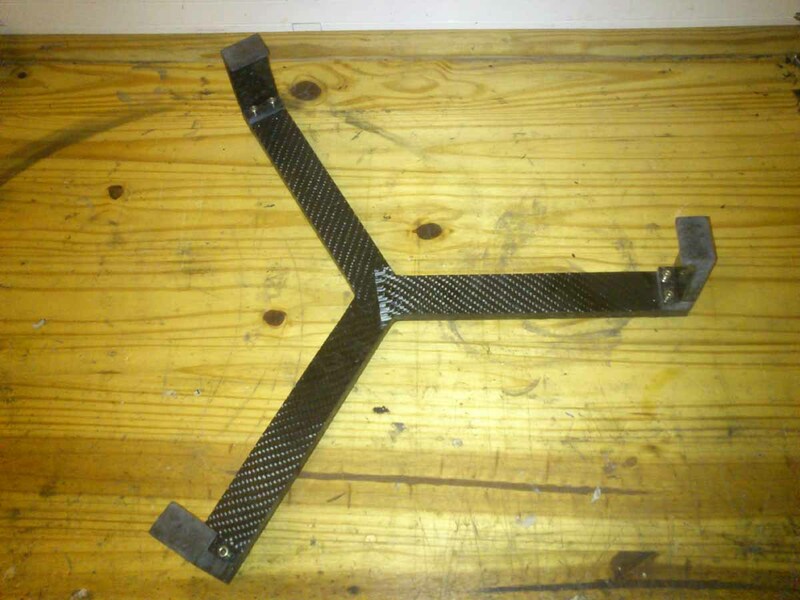 The legs are a laminate of three layers of fiber 240g / m2, thickness about 0.65mm, weighs 230g but still can be applied any weight reduction. Nice job, however for the spider vanes I have personally chosen to stay on a "bright Stainless steel" for a thermal / heat radiation issue on my 16" Newt. Did you look at any potential users of such CF vanes and possible negative effects? I do not know if there are users interested...if i understand well your words. Positive things are the small thickness of the legs, ease of construction,bug fixes, strudiness,and low cost. My 8" have a similar spider two years ago and i dont have any problem. It is not the best solution if lightness is sought, there are lighter spiders, and low cost. Now I have to redesign the cell because it is useless what they had in mind for this mirror, is perhaps where most enjoy thinking about how to do it rather than do it. Hi Maximo, would you mind posting us Mr. Rohrs/ the TS mirror test report? Thanks for your kind answer Maximo, however my question was more about the potential problem you would have with such CF vanes (thermal effects). If you did not notive any issue with the same vanes on your 8" then this is fine. I can not understand how it is possible that the spider legs cause problems of thermal effects. There should be a very large temperature difference and I see no reason for it. I have experienced in a closed carbonfiber tube 14", strong internal currents while the primary cooling, when the mirror is balanced thermally everything is normal. Martin, tomorrow i public the test now i cant. Actually I refer to material emissivity. Your black carbon vanes are close to a black body, emissivity near 1, whereas a polished stainless vane has an emissivity around 0,1. Theorically that would mean the CF one will emit more thermal radiation than the metal polished one, but to be fair first I haven't checked this myself, and second I don't know whether this means anything in our case. I can only say I have taken this into account for my own tube and went to Stainless steel vanes, where everything else is carbon ! Would be happy to hear that no problem occur, then I'll change my vanes to carbon in the future too ! Edited by JM La Galette, 07 October 2015 - 03:38 PM. Just found this, this may be of interest to you.